Business card designs, more often than not, reflect your personality. If you have a boring design, well, it might mean that you are actually boring in person. 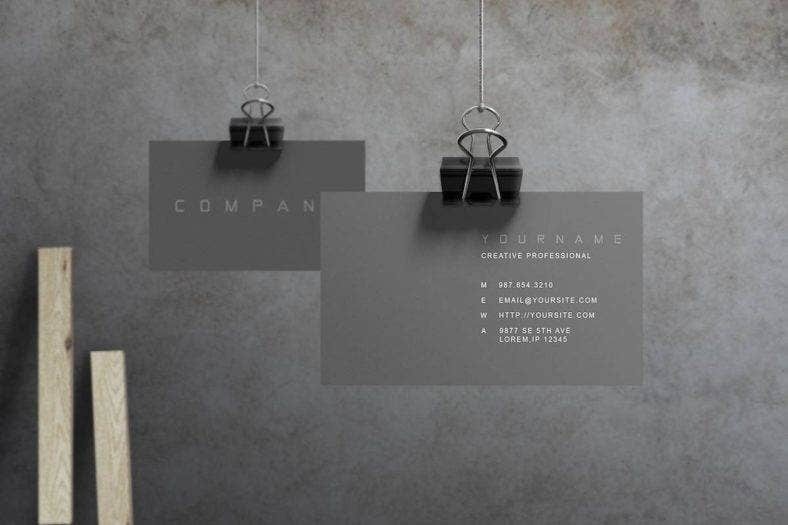 If it is a minimalistic template, then it might mean you want everything to be neat and clean. 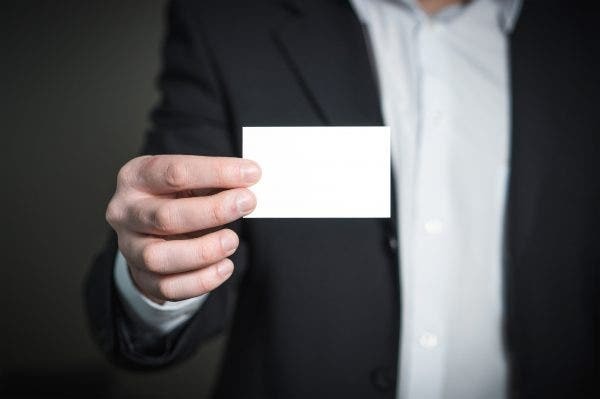 Although it is not always true that a design is a reflection of yourself, it is still better to present your business card in an appealing way so it would leave a great impression of you on others. You may also see business cards for teachers. 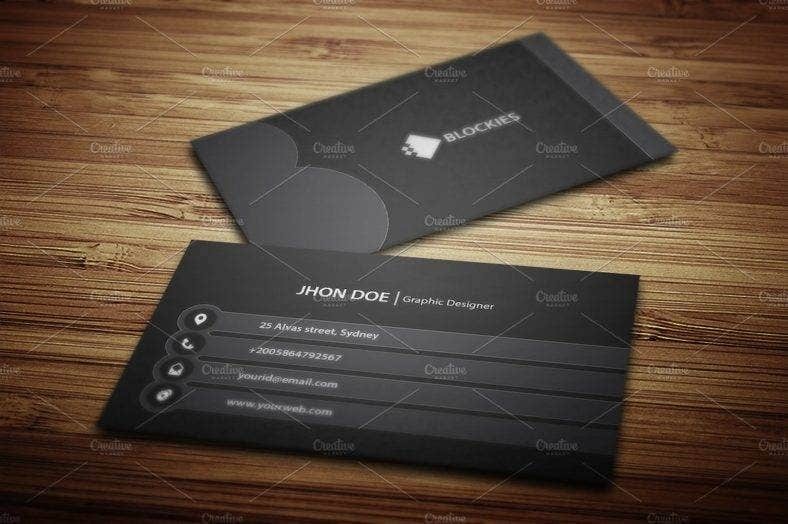 One of the best concepts that you can apply for your cool business card is a sleek design. This type of design does not go out of style. It is perfect for those who have corporate jobs as it has a formal vibe to it. 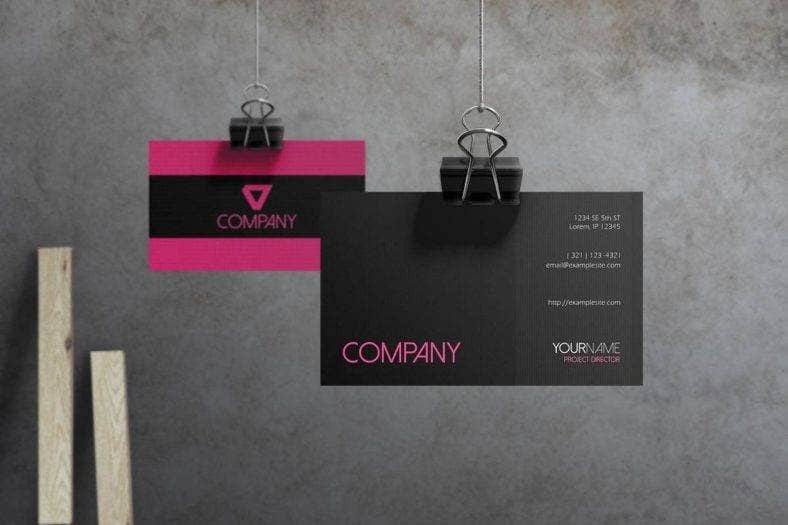 But, even if you are not working in a corporation, you could still use it for your Corporate business card. 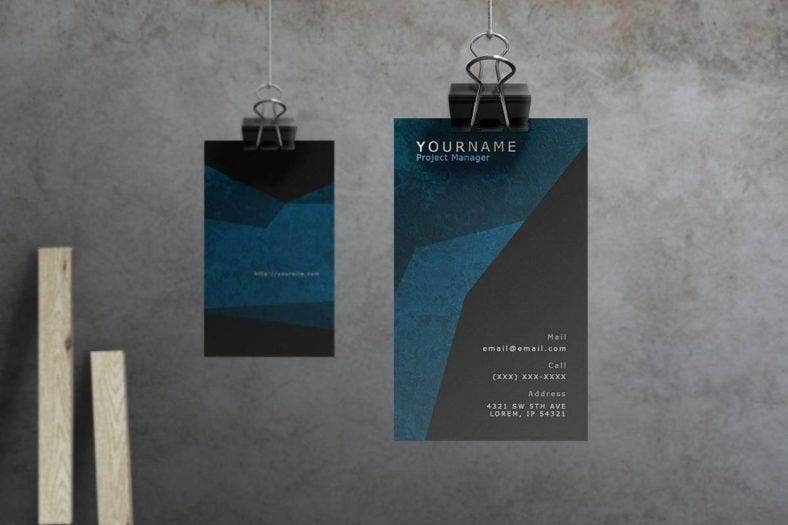 We have curated a handful of sleek designs that will help you be creative with your small business card. These are some of the most good-looking options currently available online, so check them out below! 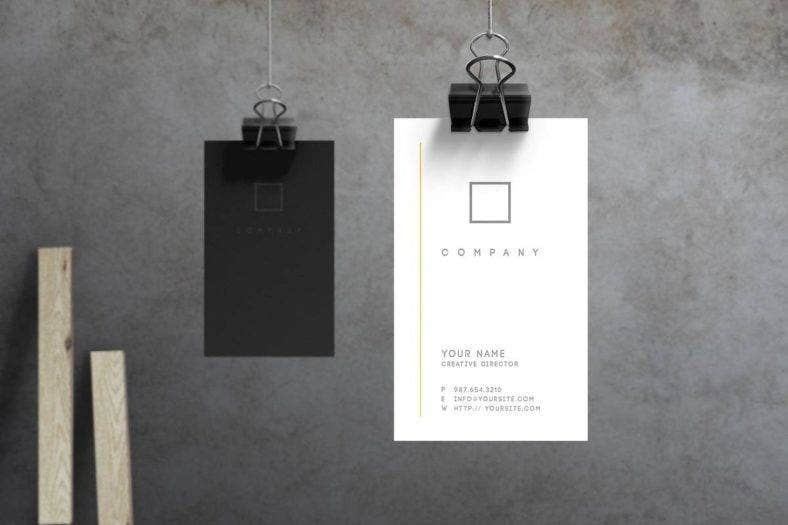 You may also see excellent black business cards. The template is measured at 3.57 inches by 2.25 inches and styled in landscape orientation. The design is fully customizable and editable. The files include formats compatible with Microsoft Word, Adobe Photoshop, and Microsoft Publisher. 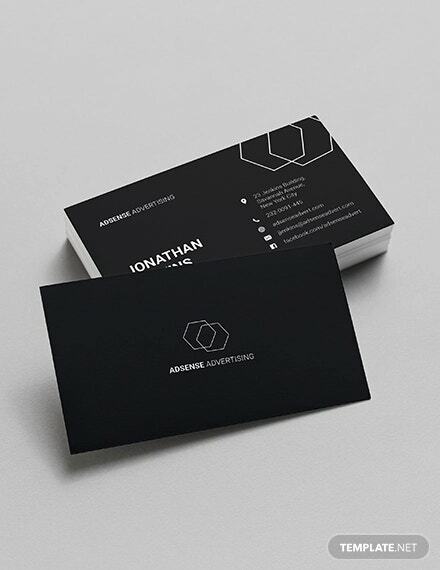 The lines and shapes are what make this design a modern business card. With the simple font style and layout for the texts, this is clearly for those who do not like designs that are cluttered and crowded. The different shades of blue, when overlapping each other, create an illusion of a river with different depths. And, when partnered with the dark background, it looks like a river flowing through an underground cave or a place where the sun’s rays cannot reach—a mysterious and secret location where only few can enter and witness its enigmatic beauty. Legend has it that if you stare at it too much, you will most likely be using this design for your free business card. 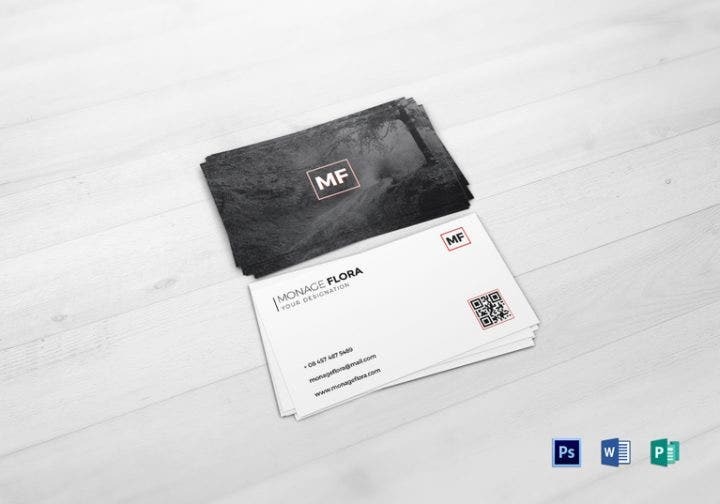 You may also see black business cards. 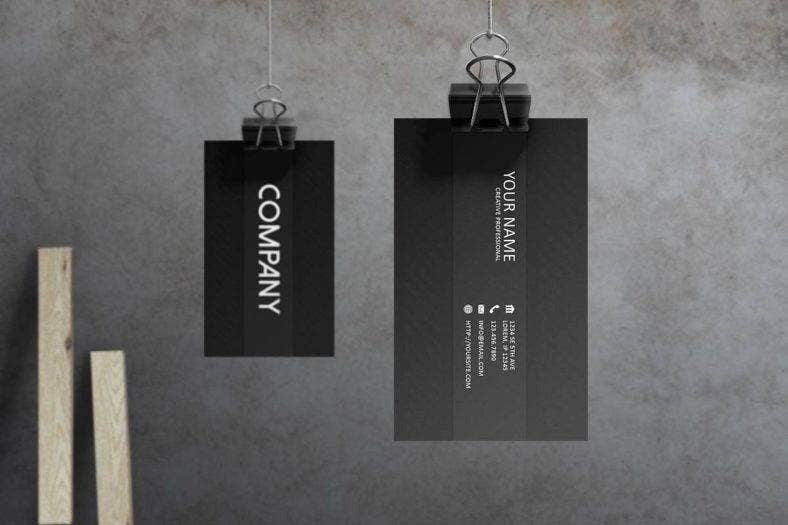 Most business cards have edgy corners, but this one decided to be different. 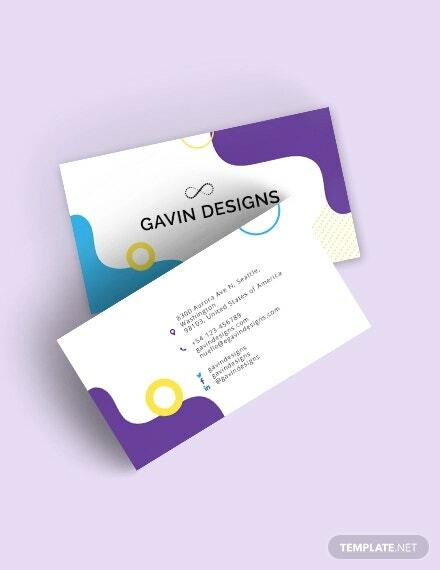 The rounded corners make it look soft and more approachable than other business cards. The colors used for the text match the light and dark background well. The details are placed at the back, and the QR code that is placed at the front gives people an option to know more about you just in case the details you have shown are not enough. 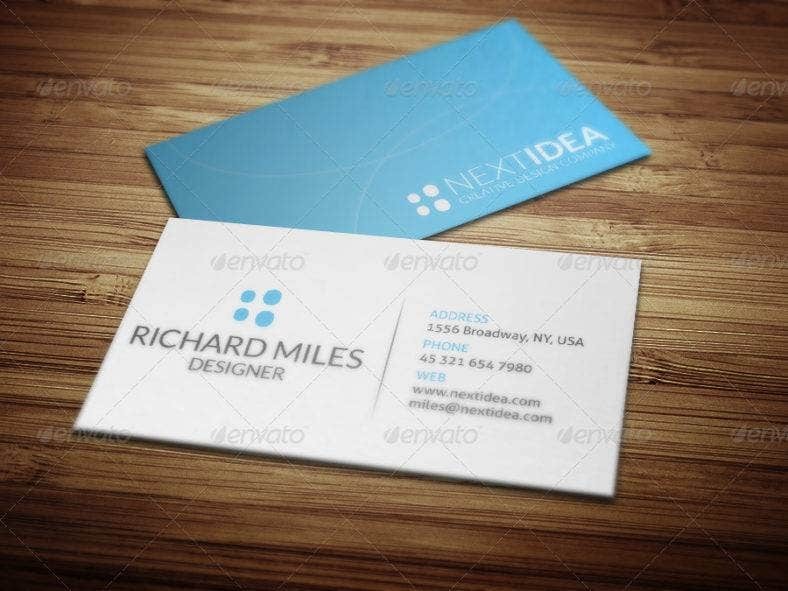 This design’s simplistic approach will certainly satisfy your needs for your business card examples. 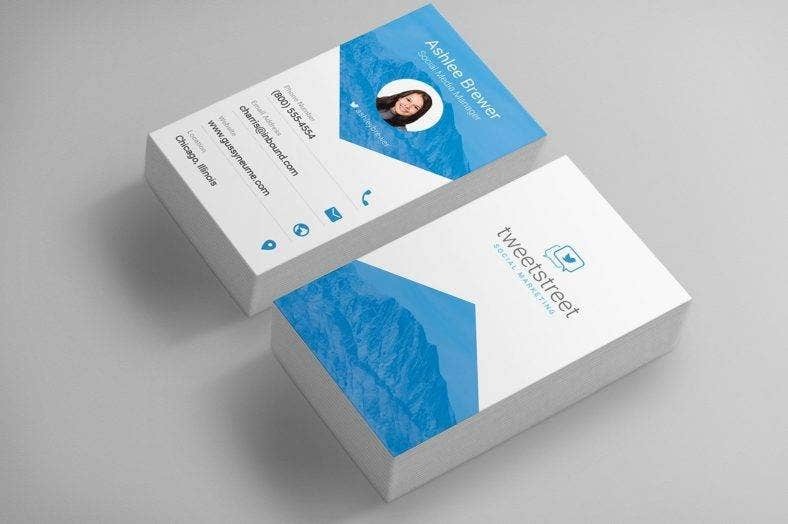 You may also see best business card templates of 2017. Sometimes, choosing between black and white patters is as hard as choosing which course to take in college. Well, not really. Exaggeration aside, it is honestly difficult to choose, especially if the designs are this good. So, to save yourself from the suffering, why not choose both? That is what this template did. 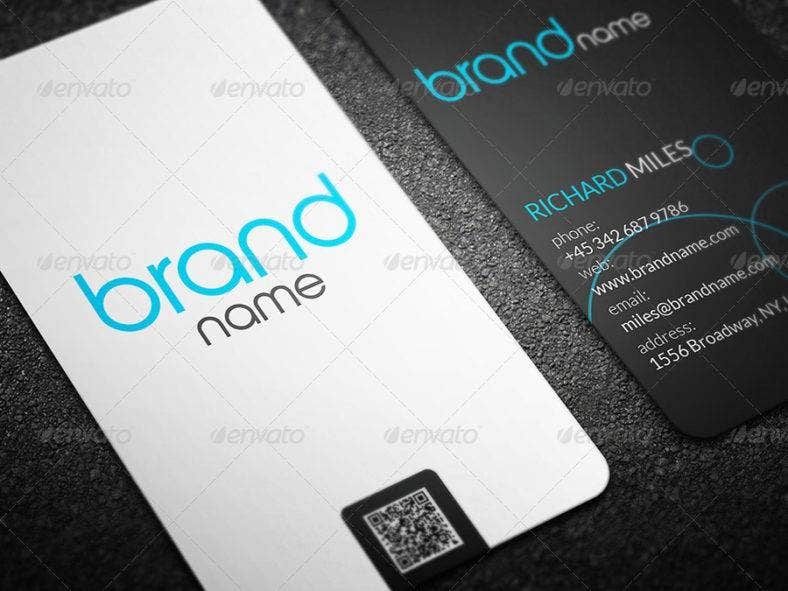 The front side of the business card templates, covered in black, shows your business card logo, name, website, and slogan if you have any. The back side, covered in white, contains the important information, particularly your address and contact details. Should you want to switch the colors on both sides, you can freely do so as this template is fully customizable and editable. The layout is measured at 3.5 inches by 2 inches and is oriented in best landscape style. It contains PDF and PSD files and it requires the minimum Adobe CS version of CS4+. 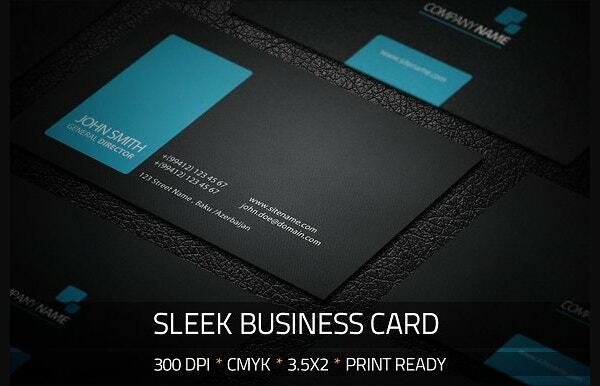 You may also see media business card templates. One, two, three—click! 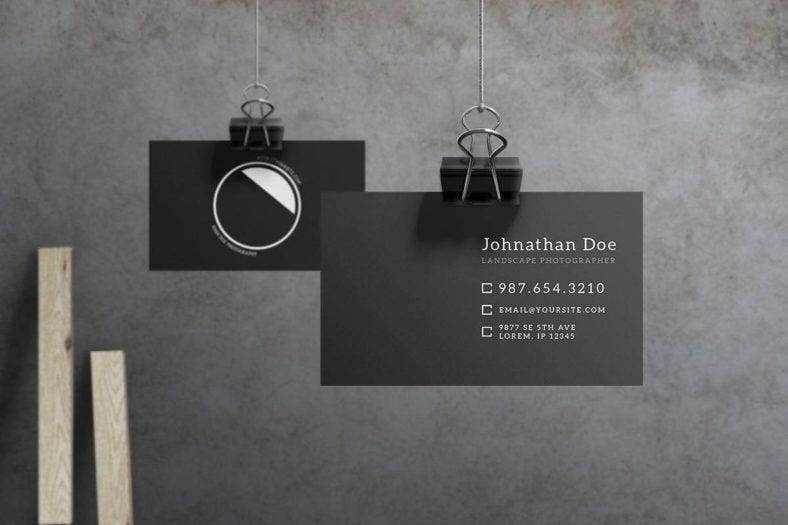 The lens icon at the front of the card is the perfect cover for a photographer’s business card. The details are neatly placed at the back of the card. There is enough space to add more details in case you find the predefined details lacking. 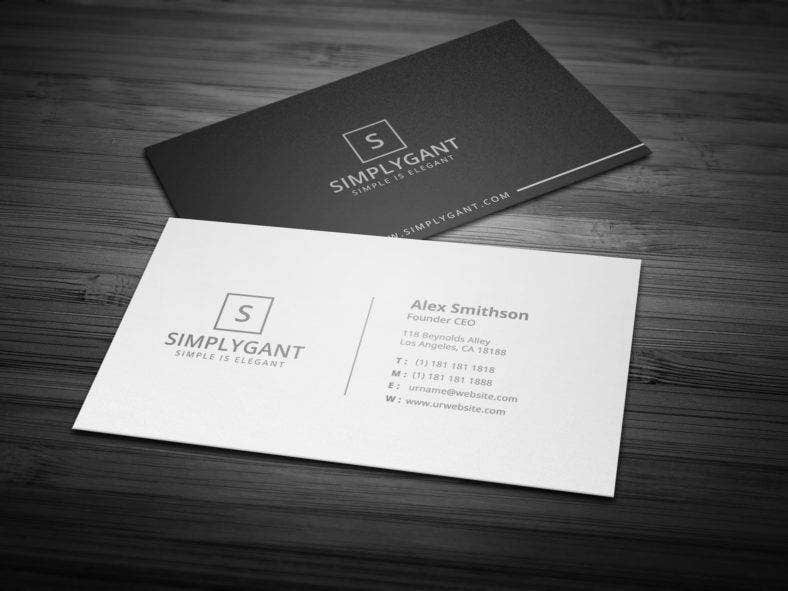 The simple and clean design is perfect for a photographer who wants everything to be at a bare minimum. The layout comes in a size of 3.75 inches by 2.25 inches with landscape orientation. The design is fully editable and customizable, and it requires the minimum Adobe CS version of CS3+. 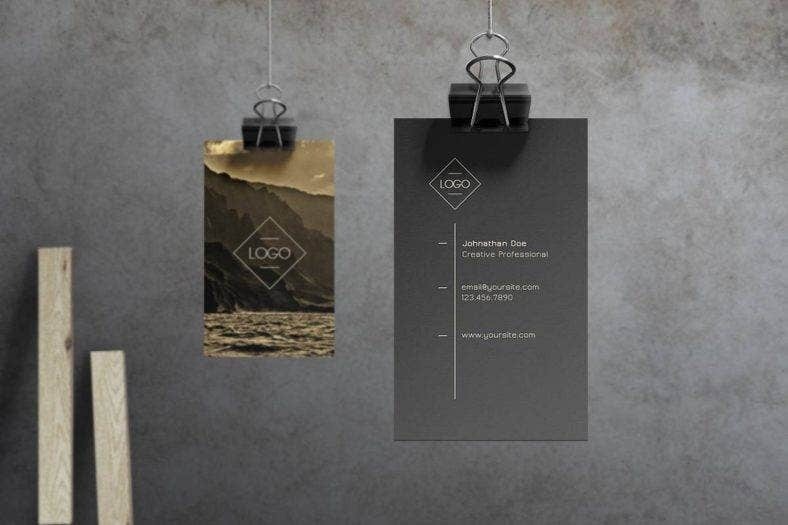 You may also see photography business cards. Being sleek will never go out of style. It is a classic design that will be recycled and reused from time to time. 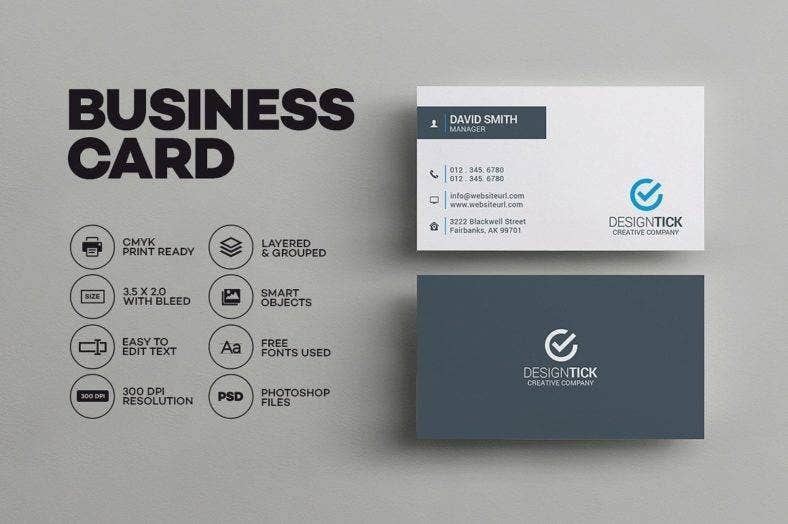 Its simple and neat layout gives you the perfect setting to highlight the necessary details on your vintage business card. There are various designs available everywhere, so take your time to explore them all and do not hesitate to tweak them; you might find the perfect design when you give it a personal touch. 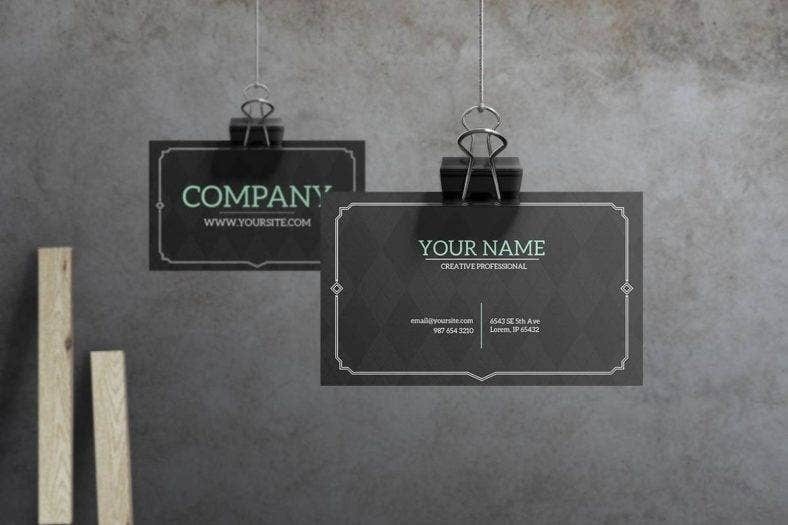 Good luck in choosing the right one and have fun!You may also see premium corporate business card templates. 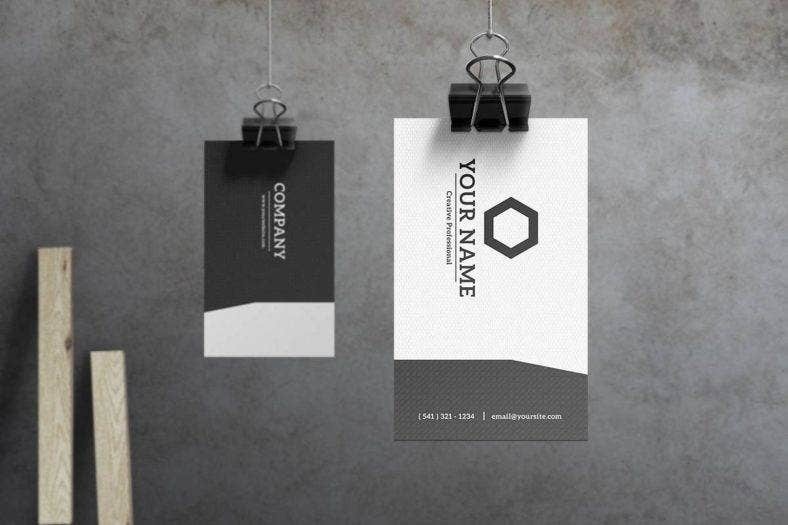 Be sure to read the related posts so you can see other examples of professional business cards!